Florence A. 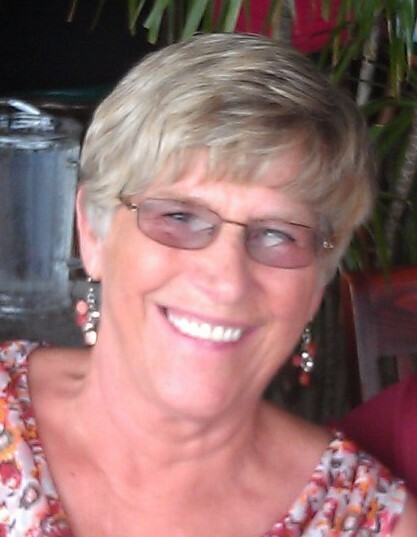 “Smokey” Larson, 76, of Chippewa Falls, died on Wednesday, March 27, 2019 with her family by her side. She was born July 30, 1942 in Chippewa Falls to Florence A. (Priest) and Charles E. LeDuc. On April 28, 1962, Smokey married Robert Larson at Central Lutheran Church in Chippewa Falls. They resided and raised their two children on Maple Street on the southside of Chippewa Falls. Smokey worked at Morrison Implement (which became Kohel Implement) for over 30 years. Smokey and Bob were very involved in the Boy Scouts. When their son, Mike was young, Smokey was a den mother for Cub Scouts. She then served on the district committee and was treasurer for Boy Scout Troop #109 for over 15 years. She was awarded the “Silver Beaver” medal which is the highest honor a volunteer can earn. She and Bob then started an Explorer Group for kids ages 16-21 which was the first co-ed service group that served the community and the younger scout troops. Smokey loved being in and surrounded by nature; as she was always found outdoors. She loved camping, fishing, water skiing, snowmobiling, cross country skiing, and especially doing these activities with her children and grandchildren. A trip to the Grand Canyon camping and white water rafting with her grandsons was one of her cherished memories. She took pride in home's appearance, where she was often found mowing the lawn, working on her garden areas planting flowers or shrub care, or even shoveling the snow off her driveway. And, she always had her nose in a book. If you knew Smokey, you know that she called the shots…which she did right up until her last breath. Before she passed, she sent personal messages to each of her grandchildren and other loved ones and made sure that her family knew her wishes for her celebration of life. She had complete control of her last day and made her decision of when to say goodbye. 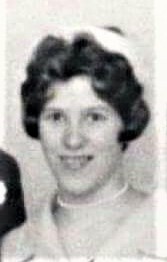 She will be dearly missed by her husband, Bob of Chippewa Falls; daughter, Kathy Larson of Rochester, MN; son, Mike (Michelle) Larson of Villa Rica, GA; siblings, Marie (Jim) Ellingson of Seattle, WA, Ed “Butch” (Kathleen) LeDuc of Bloomer, Tom (Jackie) LeDuc of Salem, OR; grandchildren, Mick and Jess, Matt and Becca, Brandon and Brooklyn, Rachel and Jordan; and many nieces, nephews, other relatives, and dear friends. A celebration of Smokey's life will be held from 2-5 p.m., Saturday, May 4 at the Fill-Inn Station Restaurant, 104 W. Columbia St., Chippewa Falls. Memorials in Smokey’s honor may go to your local Boy Scout Troop or to the The ALS Association, Gift Processing Center, PO Box 37022, Boone, IA 50037-0022. There's still time to send flowers to the Celebration of Life at the Fill-Inn Station Restaurant from 2:00 PM to 5:00 PM on May 4, 2019.